Reading books has always been something I enjoyed doing. I guess that’s because of all the books my mom gave me as a child…thanks mom! 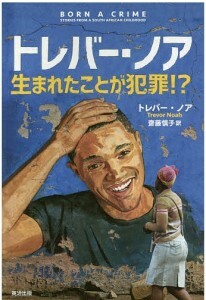 One of my favorite books is “ Born A Crime “ by Trevor Noah. In this book Trevor Noah talks about his experiences throughout his childhood in South Africa and how he was able to flourish despite his circumstances with the help of his valiant mother. Four adjectives that I think accurately describe this book are : unique, captivating, inspiring and funny. It’s an amazingly well written autobiographical comedy.If you have the chance you should definitely give it a read, I can guarantee that you won’t regret it. In fact, you’ll find it hard to put this book down once you start reading it. Copyright © 2016 MACS Inc. All Rights Reserved.